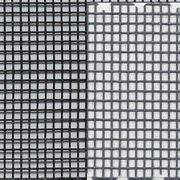 Textilene® fabric is the choice of solar screen profesionals. The 90% solar screen works great !!! Gave my dims and still had to cut the pieces for the frame. Was not hard to cut frame pieces but should not have to since I gave dims. Advantages: When the evening sun shines through it’s like watching a solar eclipse!!! Exactly what my wife wanted. the kit came packaged solidly and the parts were easy to put together. Got exactly what I ordered and the screens fit perfectly. Advantages: Easy website to work with and the screens work as advertised. Cost efficient and fast shipping. Items were pack and well protected for shipping. I bought this kit to build one large window solar screen. At the same time, I was repairing a patio sliding door screen with a popular brand screen fabric from the local hardware store, so I could compare the two products. There is a big difference: Textilene 90% fabric is much better. It's thicker, stronger, easy to install (holds into the groove well during preparation) and works great in cutting sun light. The other brand's edges were separating while I was installing the spline, so I do not expect it to last very long. 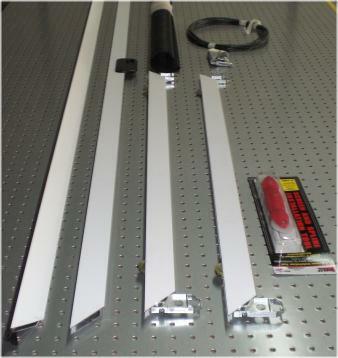 This kit came with everything including the screen roller for a very reasonable price. I strongly recommend. The screens went on windows in my sun room, whihc would let in massive amounts of heat during the day... After installing there's been a noticeable difference in the room's temperature. Good quality and effective sun shade. Easy to assemble. Reasonable shipping time. Expensive shipping cost. Great product. Took longer to receive than i expected, but overall it came undamaged and would recomend to others. Excellent customer service. Need some additional options on screen sizing when ordering via web site. Advantages: Building frames is very easy. All the parts there, and easy to measure, cut and assemble. Disadvantages: Takes a little while to get the knack of attaching the screening material to the frame evenly. Very nice screen! Website very helpful with getting the right measurements, & screen fits perfect! Tough screen!